In the training manual Zen and the Art of Motorcycle Riding by Conrad Dent (not to be confused with the iconic American novel Zen and the Art of Motorcycle Maintenance by Robert M. Pirsig), Dent explains that riders need to be, “equipped to handle unforeseen conditions.” Although Dent is talking about motorcycle riding, he could just as easily be describing a day on the job of a plumber and drain cleaning professional working a cable machine through a drain line. Just as all motorcycles are not created equal, neither are all cable machines. Historically, operators had to work with machines that were limited to static speeds and power settings. “Riding is all about balancing and controlling the motorcycle...ride with minimal effort and let the bike do the work [for you],” says Dent. A new machine from MyTana does just that: it puts control in the hands of the operator. 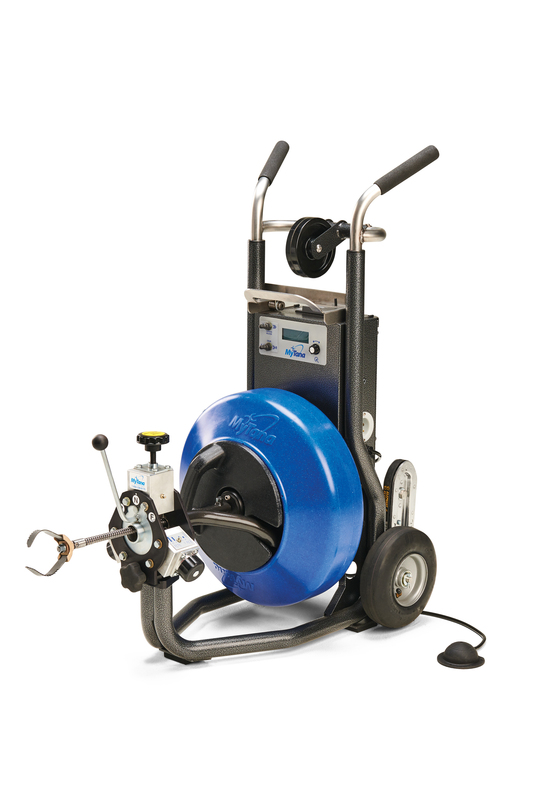 The M745 Workhorse–powered by proprietary SmartDrive™ technology–is the industry’s first variable-speed, multi-torque drain machine with adjustable electronic motor controls, giving the ability to adjust cable speed on-the-fly for maximum performance and the choice of two torque settings for safety. With SmartDrive, cable speed can be throttled as high as 300 rpm to navigate pipe bends, apply greater pressure against pipe walls to strengthen cleaning force, and expedite feeds and retrievals, making cleaning more efficient. Alternatively, cable speed can be reduced as low as 100 rpm to handle obstructions and debris. SmartDrive also includes calibrated torque protection which sounds an alarm when cable torque approaches unsafe limits. Designed to safeguard the operator and extend the life of the machine’s cable, the limit can be set high for large drains or low for sink lines. Operators can also select how tension is released: quickly with little resistance, or slowly with more resistance. MyTana is a full-service manufacturer of drain cleaning and inspection equipment, including cable machines, drain jetters and plumber cameras. The company also offers cables, blades, nozzles and other accessories for plumbers and drain cleaners. By selling direct, MyTana is able to maintain competitive pricing while offering a high level of personalized service and support. MyTana equipment is factory-direct and American made.